Bottle Stoppers 3-Pack Just $7.71! Down From $14! PLUS FREE Shipping! Check out this Bottle Stoppers 3-Pack which is on sale at Amazon for only $7.71 down from $13.99 PLUS FREE shipping! With this set of three bottle stoppers by the FoodSaver brand, you can keep the libations flowing without having to worry about partially opened bottles going to waste at the end of the night. 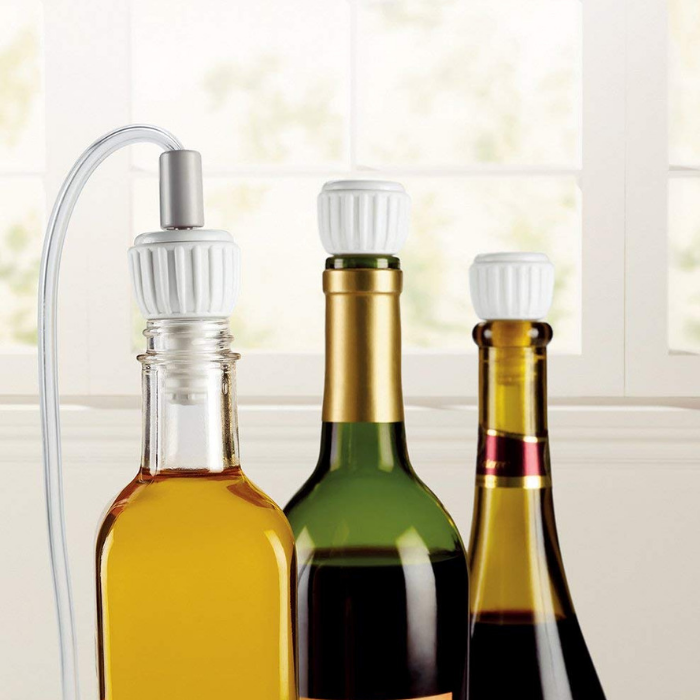 Designed to fit most standard bottles, the bottle stoppers replace corks for a tight seal, with the added benefit of creating an airtight vacuum seal when used with a FoodSaver vacuum sealing system. FoodSaver Vacuum Sealing System Just $52.77! Down From $90! PLUS FREE Shipping! At Amazon, you can score this FoodSaver Vacuum Sealing System for just $52.77 down from $89.99 PLUS FREE shipping! 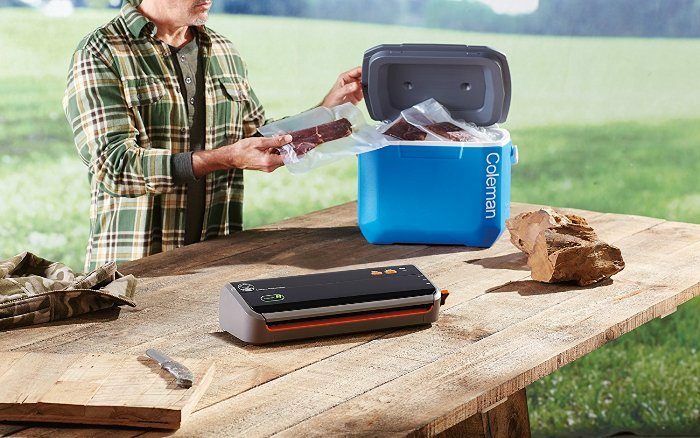 Created with hunters, fishermen and outdoor enthusiasts in mind, the FoodSaver GameSaver Outdoorsman Vacuum Sealing System combines a new consumer preferred design with easy operation. Preserve your harvested fish and game and prevent freezer burn. Perfect for your camper, RV, campsite or cabin, and works just as well at home. It’s lightweight, super-portable, easy to use, value-priced and gets the job done. Great for small game birds, panfish, waterfowl breasts and fish fillets up to 2 to 3 pounds. Bring it with you to the woods and on the water to quickly process your fish and game. Vacuum / Seal Button – Vacuums, seals, and shuts off automatically. Seal Button- Seals rolls for custom sized bags and stops vacuum process to prevent crushing of delicate foods. Easy-Lock Latch Closure – secures bag for vacuum sealing. FoodSaver 4-Piece Container Set Just $32! Down From $60! PLUS FREE Shipping! Amazon is currently offering The FoodSaver 4-Piece Container Set for just $32 down from $59.99 PLUS FREE shipping! FoodSaver knows how important saving time, money and space in your fridge is; the new FoodSaver Fresh Containers are the answer to so many problems. 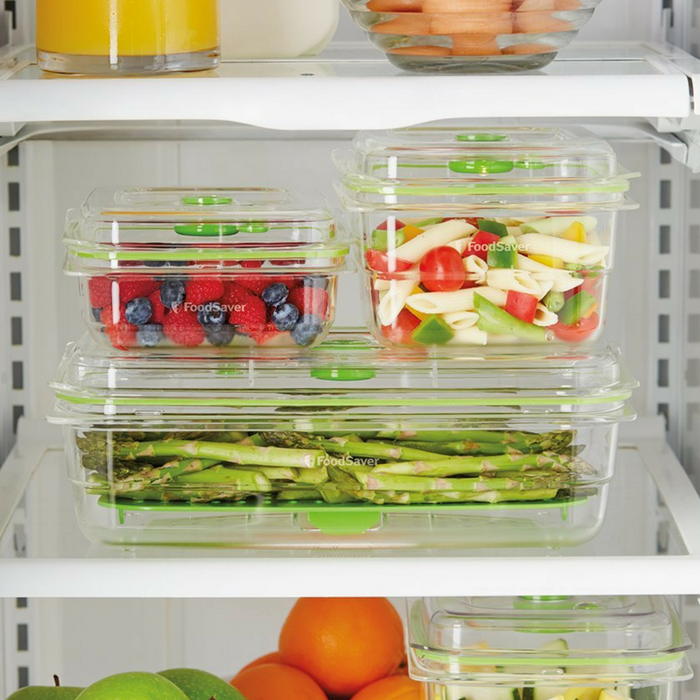 They use the same vacuum technology you have come to trust from FoodSaver but with these Fresh Containers, you can enjoy fresh foods more often, right out of your fridge and on to your table. Nestable, Stackable, Microwave, Dishwasher and Freezer safe.The Container Base and Lid can be safely washed in the top rack of the dishwasher. You can also wash both pieces in warm, soapy water; rinse well and dry thoroughly. Made of Crack/ Shatter/Odor/Stain resistant Tritan Plastic, BPA Free.The Vacuum Valve Cover and Gasket can be washed in warm, soapy water; rinse well and dry thoroughly.